Colorectal cancer (CRC) is a major malignancy characterized by a high metastasis rate. Systematic chemotherapy is important for patients with advanced CRC. However, many limitations (e.g., side effects to normal organs, shorter circulation time, and unsatisfactory tumor inhibition results) of traditional chemotherapy restrict its further application. Thus, it is necessary to find a method to overcome these challenges and improve the efficacy of CRC treatment. 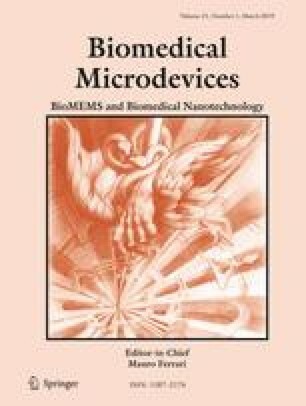 In this study, 20(S)-ginsenoside (Rg3) co-loaded poly(ethylene glycol)-block-poly(L-glutamic acid-co-L-phenylalanine) (mPEG-b-P(Glu-co-Phe)) nanoparticles (Rg3-NPs) were prepared. mPEG-b-P(Glu-co-Phe)-based drug delivery systems are pH sensitive that can target cancer cells and circulate for longer in blood. Rg3 could be released rapidly from the nanoparticles within tumor cells. A subcutaneous colon cancer mouse model was developed to evaluate the anticancer efficiency of the Rg3-NPs. The in vivo study indicated that the Rg3-NPs could significantly inhibit tumor proliferation by decreasing the expressions of proliferating cell nuclear antigen, resulting in tumor apoptosis through the increased expressions of caspase-3. Our study demonstrated the marked potential of the Rg3-NPs to treat CRC. This work was supported by Talents Team Major Program of Jilin Province of China (JRCBTZ. No. 3).